Happy Monday Everyone! 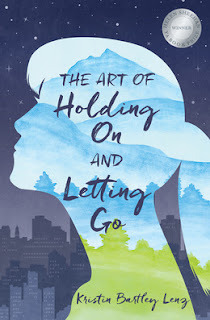 Today I’m thrilled to have debut author and friend Kristin Bartley Lenz here to share about her YA contemporary THE ART OF HOLDING ON AND LETTING GO that released this month. I’ve known Kristin for years through our Michigan SCBWI, and am so happy to see her debut as an author. Sharing these experiences with friends is one of the reasons I still love blogging so much. And I’m super excited to read Kristin’s book because of the issue of loss and going on that the story explores—something very personal to me. I just got to see Kristin yesterday at one of her debut celebrations at Nicola's Books, a local indy bookstore. It was so fun seeing her debut, and all our local SCBWI members and friends who caame to celebrate with her. Here we are together. Hi Kristin! Thanks so much for joining us. Tell us about yourself and how you became a writer. Hi Natalie! I’ve been following your blog for so many years, it’s exciting to be here! I’ve always wanted to be a writer, but somewhere in my teen years I lost confidence in my writing and pursed another career instead. My social work career was a detour on my writing path, but it greatly expanded my worldview and shaped my growth as a writer. I bet your social work experience was super interesting and gave you insight into different types of people. Where did you get the idea for THE ART OF HOLDING ON AND LETTING GO? My husband and I discovered a new world of outdoor enthusiasm when we moved near the mountains in Georgia and California: hiking, white-water kayaking, climbing. We followed the careers of well-known mountaineers, and one by one, each of those climbers died while attempting epic summits. Most of them had spouses and children. I began to wonder what it would be like to be the child of a professional mountaineer. How would that child’s upbringing be different? And what if both of her parents were extreme mountaineers, not just one? How would this shape her world? Cool that your husband and you shared this passion. Some of the reviews for your book mention how the readers felt transported to the world of rock climbing in your story. I know you love mountains. But did you draw on your experience or research in getting the details so right? Do you have any tips for other writers? My own rock-climbing experience definitely helped me, but I also needed to do a lot of research, especially since part of the book is set in Ecuador. I recently wrote a guest post with research tips based on my experience writing this novel. One of the things that appeals to me about your story is how it focuses on Cara’s transformation and character journey after her tragedy. Were there any surprises for you in her growth as a character? Not necessarily surprises, but her character gradually grew over time with more and more layers being added. While coping with loss and a major move across country, Cara is discovering herself and developing as a young woman – her body is changing and she has a new awareness of femininity and sexuality. Layers are so important to a well-developed character. What was the biggest challenge you faced in writing or editing your story? How did you overcome it? My biggest challenge was trying to balance all of the various and often conflicting feedback I received from agents, editors, and other writers. At one point, I tried to listen to all of it, work all of it into my revisions, and I got lost in my story. I had to set the manuscript aside, and then follow my gut when I returned to revise much later. If I had listened to all of those voices, this manuscript would still be stuck in my computer. It was so rewarding to finally find an editor who shared my vision! Oh, I can so relate to that frustrating challenge, and I'm sure others can too. You sold your book through winning a contest—the Helen Sheehan YA Book Prize. Share how that came about, why you decided to enter the contest, and tips for others considering contests. recognized Elephant Rock Books because the last YA novel they published went on to win a Printz Honor, and I loved the story. Carnival at Bray was a literary, realistic coming of age novel with depth and heart, and I thought my book might be a good fit for this publishing house too. Contests are a great way to receive validation for your work, publishing credits, and visibility to agents and editors, but research is very important to avoid scams. There are reputable organizations that have contests, such as SCBWI and RWA, or publications such as Hunger Mountain. Elephant Rock Books will be looking for their next Sheehan YA Book Prize winner in 2017. What an awesome publishing story. You also won the YA manuscript competition at the Midwest SCBWI conference this spring. How awesome! How is that helping you with your writing and your plans as a debut author? Winning the manuscript competition was helpful because it got my new novel in front of a New York editor. I never anticipated publishing with a small press, but I’ve had such a great experience with ERB. I’d do it all over again if I could, but they only publish YA novels through their Sheehan contest. So that means I need to go back on submission for my new novel. Even more amazing! You're inspiring us all. Your agent is Carrie Pestritto. How did she become your agent? Actually, this is another example of winning a contest and the generosity of the Kidlit community. Many bloggers host pitch contests as a way to give back or pay it forward, and my agent Carrie Pestritto from Prospect Agency (http://www.prospectagency.com/) was accepting pitches on Monica Bustamante Wagner’s Love YA blog (http://monibw.blogspot.com/). *waves to Monica who has a new NA novel, Frosh, out now! * Carrie selected my pitch for a different YA novel, asked me to revise, and then offered representation. That novel hasn’t sold, and it’s another example of trying to balance everyone’s revision suggestions. I had to set it aside for awhile, and I pulled out The Art of Holding On and Letting Go which had been resting. And ta-da, that’s the manuscript that finally sold first. Wow! Your experience is such a great example of how contests can help. How are you juggling marketing your book as a debut author with your job as a social worker, being a wife and a mom, and running The Mitten, Michigan’s SCBWI blog? Has this affected your marketing decisions? How? I’ve definitely had a few freak-out moments! So many wonderful opportunities have been offered to me, but much of it is out of my comfort zone. It’s exciting, but stressful at the same time. I’m learning as I go and leaning on the support and wealth of knowledge from author friends. I’m no longer working as a clinical social worker; instead I’ve been able to blend my writing and social work careers by writing for non-profit organizations in Detroit. This is flexible, contractual work, and I’m fortunate to have writing time while my daughter is at school. Managing SCBWI-MI’s blog takes time every week, but nothing like the amount of work you do for Literary Rambles on top of your lawyer career. I admire you, Natalie! I have lots of help from my co-editors and guest contributors, and it’s inspiring to be in the midst of the writing/illustrating community and share their successes. 10. I love what you do at The Mitten. I've moved into contract writing too, and I love it. What are you working on now? I hope to be revising my new YA novel with an editor soon. It’s a much darker contemporary that deals with human trafficking. While it’s on submission, I need to start something fresh! Kristin and her publisher have generously offered a book giveaway of THE ART OF HOLDING ON AND LETTING GO. To enter, all you need to do is be a follower (just click the follow button if you’re not a follower) and leave a comment through October 8th. If your e-mail is not on your Google Profile, you must leave it in the comments to enter the contest. If you mention this contest on Twitter, Facebook, or your blog, mention this in the comments and I'll give you an extra entry. You must be 13 years old or older to enter. This in for U.S.
Next Monday Natalie Lorenzi will be doing a guest post with a giveaway of her MG historical A LONG PITCH HOME. 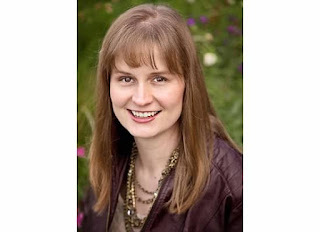 The Monday after that follower and debut author Sheri Larson will be here with a guest post and a giveaway of her MG fantasy MOTLEY EDUCATION. 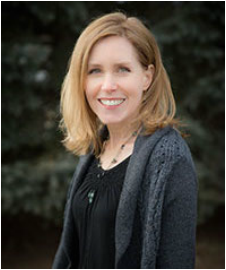 The following Monday debut author Ellie Swartz will be here for an interview and giveaway of her MG contemporary FINDING PERFECT. Happy Monday Everyone! 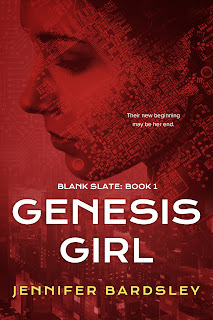 Today I’m excited to have debut author Jennifer Bardsley here to talk about her YA speculative fiction book GENESIS GIRL that released in June. It sounds like a really thought provoking story about our addiction to the technical world. Hi Jennifer! Thanks so much for joining us. Jennifer: I’ve always told stories to myself before I fall asleep—which is probably why I suffer from insomnia. About ten years ago I finally wrote one of them down in a serious way. No agent wanted to represent me because that first manuscript was horrible, but several years later I wrote another book and that attracted the interest of my agent, Liza Fleissig. 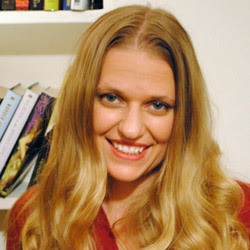 She helped sell Genesis Girl to Georgia McBride Media Group as a two-book deal. 2. Awesome how you stuck with it. Where did you get the idea for GENESIS GIRL? Jennifer: Prepare to be disgusted. Genesis Girl was inspired by opera’s dirty secret. In the 1700s there were parents who would castrate their young sons in the hopes they would become famous singing superstars called castrati. Opera fans adored castrati because they could hit the highest notes. 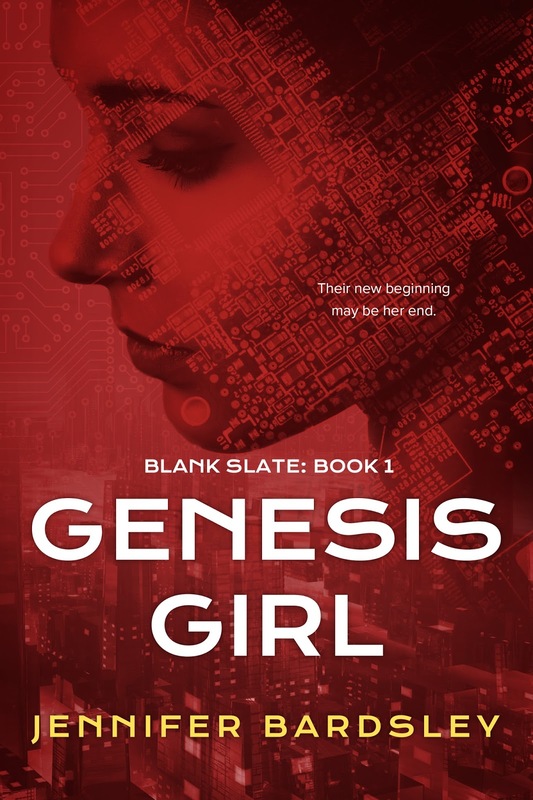 In the futurist world of Genesis Girl, parents castrate the digital identities of their children in the hopes they will become famous members of the Vestal order. Vestals like my main character Blanca, never go online and don’t even know who to text. They are blank slates, and their digital purity makes them valuable. 3. What a story! What tips do you have for other writers wanting to write speculative fiction? Jennifer: There’s a big debate happening right now in the YA world and it’s whether or not YA Sci-Fi books can sell. Hopefully Zenith by Lindsay Cummings and Sasha Alsberg has proved once and for all that yes, there is a market for YA Sci-Fi. But speculative fiction also includes everything from YA Fantasy to YA Paranormal. Basically, anything that isn’t Real with a capital R. My tip for writers wanting to write speculative fiction, would to follow your heart and see where your imagination takes you. Blanca is like a Sci-Fi Amish girl, No, she’s not actually Amish, but she does shun all forms of modern technology such as texting and the Internet. She won’t even let her picture be taken because she’s afraid it will be posted online. Blanca is a Vestal, and she and the rest of her Brethren are an elite community that hides from the outside world. They wear white as a symbol of their purity. I don’t want to give away any spoilers, but the way Blanca’s characters develops from a sheltered teenager who believes what her teachers tell her to believe, into a young adult who can think for herself, was my favorite part of writing the book. 5. That's such an interesting world. I read that your manuscript went through 22 revisions before you submitted it to your agent.What did you learn from the revision process? Jennifer: I learned that I revise differently on the computer versus reading on my Kindle, or holding printed out copies in my hand. Each format helps me think about improving my words in new ways. I killed a lot of trees printing out hard copies, but I also utilized technology. Sending drafts as word documents to my Kindle was convenient because it meant I could edit five minutes here, five minutes there while I was waiting to pick up my kids from school. 6. Yes, many authors say looking at the printed version is different. Your agent is Liza Fleissig. How did she become your agent and what was your road topublication like? Jennifer: When I began writing in earnest I joined The Society of Children's Book Writers and Illustrators. They provided me with what’s called “The Book,” a gigantic resource of agents, publishers, and other paths to publication. As soon as my young adult manuscript was complete, I queried agents I discovered via SCBWI. Liza Flessig of the Liza Royce Agency was willing to take a chance on me. She brokered a two-book deal for “Genesis Girl” with my publisher. Signing the contract was just the beginning. It took another two and a half years to see my book in print. of your tips on creating a good Facebook author page and using it to promote your book. Jennifer: The way Facebook works is that the more likes, comments and shares a post gathers, the more people see it. The algorithm rewards popular posts, and punishes things the community finds boring. The trick is to post something really exciting that everybody loves. Using my own page The YA Gal as an example, with 20,000 followers sometimes I get 1,000 people viewing a post, sometimes 40,000, depending upon the engagement. Early, immediate engagement seems to make a difference, so I keep track of popular days and times for my audience. Sometimes I schedule posts in advance if I know I’m going to be busy. I use an app called Trackgram to make memes I think my audience might find share-worthy, and also post YA-related questions to spark discussions. 8. Wow! I didn't know any of that. Thanks. Since your book released several months ago, you’ve had some time to see what worked welland what didn’t work so effectively in marketing your book. Share some of your marketingexperiences and what you have learned from them. Jennifer: I wish I knew with 100% certainty what worked well and what didn’t but I have no idea. My publisher did a blog tour through Chapter by Chapter, and I did a boosktagram and booktube tour with Grace from LovingDemBooks. But what exactly boosted sales (or did not boost sales) is still a mystery. I will share my pet-peeve though. If you look up the #GenesisGirl hashtag on Instagram you’ll find pictures of my book from all over the world. You’ll also find pictures of cars posted by proud Hyundai Genesis owners. It’s really annoying! Every time I see a car picture pop up in the #GenesisGirl feed I want to tear off my shirt and turn green. 9. I know the Chapter and Chapter blog and like it. What are you working on now? Jennifer: Damaged Goods, the sequel to Genesis Girl, is with my publisher right now. I can’t wait for readers to find out what happens to Blanca next! Jennifer generously offered a paperback of GENESIS GIRL to one winner. To enter, all you need to do is be a follower (just click the follow button if you’re not a follower) and leave a comment through October 1st. If your e-mail is not on your Google Profile, you must leave it in the comments to enter the contest. If you mention this contest on Twitter, Facebook, or your blog, mention this in the comments and I'll give you an extra entry. You must be 13 years old or older to enter. This in an international giveaway wherever the Book Depository ships for free. Next Monday I have a special treat. Our follower and my friend Kristin Lenz is debuting as a YA author. I'll be interviewing her with a giveaway of her YA contemporary THE ART OF HOLDING ON AND LETTING GO. 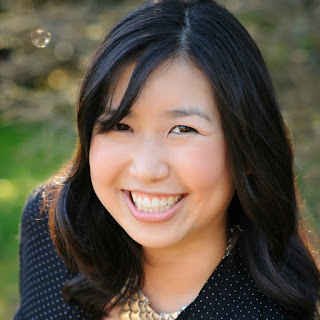 The following Monday Natalie Lorenzi will be doing a guest post with a giveaway of her MG historical A LONG PITCH HOME. Happy Monday Everyone! I've got a treat for you today. 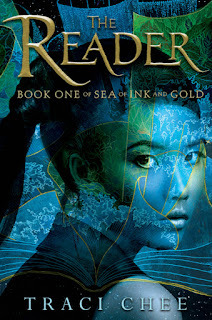 Debut author Traci Chee is here with her agent Barbara Poelle with a guest post and special giveaway to celebrate the release of Traci's debut YA fantasy THE READER. It sounds like a fantastic combination of a fantasy and mystery. Now here's Traci and Barbara! CHEE: Beginnings are one of those things that I constantly struggle with. Where do I start? How much is too much exposition? How do I get the reader invested in a character they just met? Can I sneakily include this prologue or do I have to cut it? But beginnings are of utmost importance--to readers, to editors, and to agents! So let’s talk writing strategies for those first pages and get some super-secret insider perspective from agent/warrior Barbara Poelle! With The Reader, I went through about 5-10 different beginnings before I finally landed on the version that Barbara and I signed with (and that ended up in the final book). Some beginnings started too early. One started too late! Others dragged on for chapters before I realized I had to quicken the pace. B, what kept you turning the pages when you were reading my manuscript? POELLE: Ohhhh man. It was like…like… an endless bag of salt water taffy: each page, sometimes each WORD, was so satisfying and SUCH a delight to unwrap, the prose so lush and yet so accessible, it was a joy and a privilege to read. I am super jealous of folks who get to read it for the first time. on the right image, the right phrase, the right word to elicit just the right emotion or action or nuance. Is that always what you notice first, or is there something else that jumps out at you? POELLE: Voice! I want to feel invested in the voice. This doesn’t just mean a connection to a first person narrator but the overall narrative construct no matter the execution. In THE READER, for example, there are several “voices” within the pages but the overall architecture of the read is so unique while still being accessible within the tapestry of the plot. CHEE: Ahh, that makes so much sense! For me, prose--diction, syntax, figurative language, where to break a sentence or a paragraph, all these things--are all part of voice. In some respects, I think voice is dictated by character--what a character notices, how they talk about things, places their mind goes as they move through their world. So in The Reader, which is told through limited third-person perspective, there’s one narrator, but the one narrator kind of hovers over the shoulders of eight different point-of-view characters, and each of them has a slightly different way of engaging with the world. Some characters, for example, use more clipped, fragmented sentences. Others have a bit of a drawl even in their descriptions. Still others tend toward fanciful figurative language. All these pieces are intricately connected, I think--prose and voice and character. Tell us, what makes you want to follow a character into their story? POELLE: That perfect marriage of the layers of accessibility and uniqueness. I can follow and connect with a stubborn minotaur as a protagonist as equally as I can a young girl in modern day Tehran if I can not only already see myself in them but also expand my journey of self at the same time. And let’s not misunderstand: accessible doesn’t necessarily mean “likable” but always needs to mean “relatable”. A conflicted and dangerous character is just as viable a touchstone in a great story as long as they are authentically crafted in their motivations for action. CHEE: That’s a great distinction. I try to give each character (and especially point-of-view characters) a sort of charisma, something that’s really compelling about them. With regards to first pages, I think that means we need to hook readers with our characters as soon as possible. For example, in The Reader, we have Sefia’s aunt Nin, who’s got 5-10 pages to be engaging and memorable before she’s kidnapped. To that end, I gave her what my always-brilliant editor calls “salient traits”--character details that are strong enough to be recalled pages, even chapters, later. Nin has the quick hands of a thief and a bear skin cloak that makes her look like a “hill of dirt: dry, brown, ready to crumble in the humidity of the rain forest.” She’s a gruff and begrudging guardian, but a guardian nonetheless--her last words to Sefia are a warning, and the last thing we see her do before she’s abducted is protect Sefia from being discovered. To use another example, in The Hunger Games, we have Prim, the main character’s younger sister, who we see for about 7-10 pages before, again, she’s whisked out of the narrative for the rest of the book. Unlike Nin, she has a number of endearing qualities--she’s kind to stray animals, she leaves that beautiful wrapped cheese for her sister, she’s like a “little duck” with the back of her shirt continually coming untucked (lovely detail)--and she leaves such a strong impression on the narrative that her presence can be felt many chapters later. While we’re on the topic of characters, are there any characterization faux pas that will absolutely kill a manuscript for you? CHEE: I so feel you on the problems with token diverse characters and inaccurate/harmful representation. I think when it comes to beginnings, we’ve got such limited time, we absolutely cannot rely on tropes, stereotypes, and shortcuts. It’s a huge task to make characters unique and compelling and well-rounded all at once, so we’ve got to be very careful and very precise in what details we choose as well as what the characters do and say and think. So far we’ve got prose, voice, and character. What else factors into your reading of a manuscript’s first pages? CHEE: I think one of your other authors, Renée Ahdieh, does this amazingly well! I actually studied her first book, The Wrath and the Dawn, while I was revising The Reader, because she’ll introduce a conflict, deepen it, then close it up again while simultaneously introducing a new, more complex conflict. Every time one question is answered, we find another question underneath it! POELLE: Aw! Yay! Renée is so gifted at unspooling conflict and tension, right? And you now bring up the writer’s greatest tool: reading! Read all the time, across many genres, find what works for you and WHY it worked and then weave the technique into your own work. CHEE: Yes! One of my other go-to resources for micro-tension is Writing 21st Century Fiction by Donald Maass, which has some great exercises for developing conflict on the level of story, scene, and sentence. That’s where I turn whenever I’m missing that pop rock feeling. Any last suggestions for all the writers out there? POELLE: I know the writing can be a solo journey, but craft can’t exist in a vacuum. Get in a class, even an online one, where you are sharing your work with others. Find a critique partner, get a group of first readers you can count on to be honest with you about what is and isn’t working. Enter first page contests and participate in things like Pitch Wars and Query Shark. Challenge yourself to marry any natural talent with the actual blueprints of great writing by reading things like BIRD BY BIRD by Anne Lamott and ON WRITING by Stephen King. Keep working on the craft, technique and detail of the written word as well as the creative artistry of the story! CHEE: I love this advice so much, and it’s just how I approach my own writing too. I try to learn something from every book I write and every book I read. In between drafts, I write short stories inspired by my favorite writers. I take classes. I read books on craft. I feel like there’s always a way to improve, and I’m continually seeking out ways to challenge myself. Poelle: And it SHOWS! I cannot wait for THE READER to become everybody's go to for a fabulous novel but also an exploration and expansion of craft. But, let me just tell you all, make sure to tie your shoes tightly as this book is gonna knock your socks off!!! Find Traci at her website, on Twitter, and on Facebook. 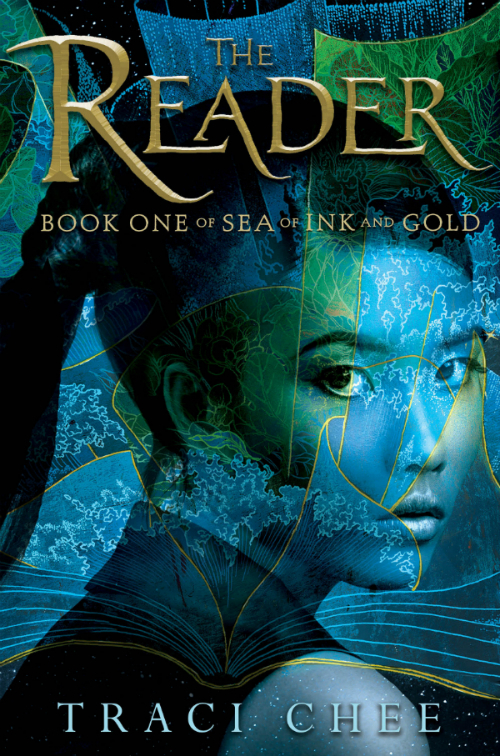 Barbara Poelle and Traci Chee have generously offered a three chapter critique by Barbara and a giveaway of THE READER by Traci. To enter, all you need to do is be a follower (just click the follow button if you’re not a follower) and leave a comment through September 24th. If you do not want to be included in the three chapter critique giveaway, please let me know in the comments. If your e-mail is not on your Google Profile, you must leave it in the comments to enter either contest. If you mention this contest on Twitter, Facebook, or your blog, mention this in the comments and I'll give you an extra entry. You must be 13 years old or older to enter. 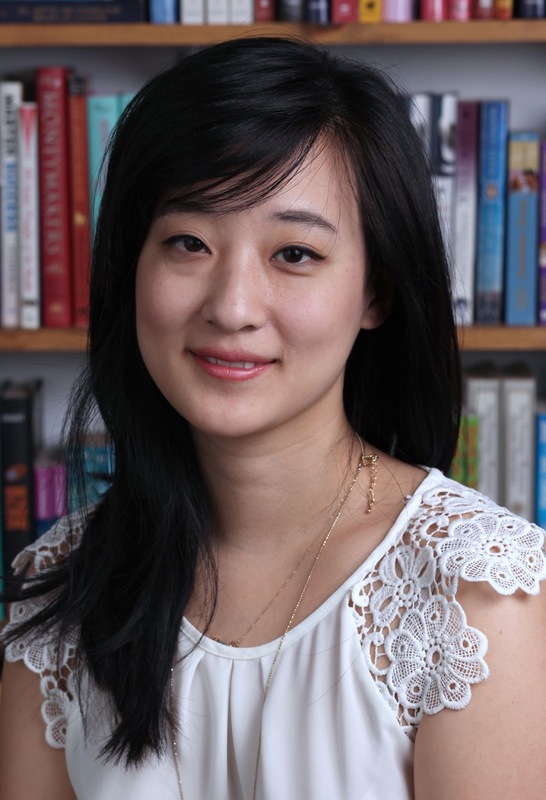 The three chapter critique is international and the book giveaway is U.S.
On Wednesday I have an agent spotlight interview with Catherine Cho and a query critique. The Monday after that I have a special treat. Our follower and my friend Kristin Lenz is debuting as a YA author. I'll be interviewing her with a giveaway of her YA contemporary THE ART OF HOLDING ON AND LETTING GO.